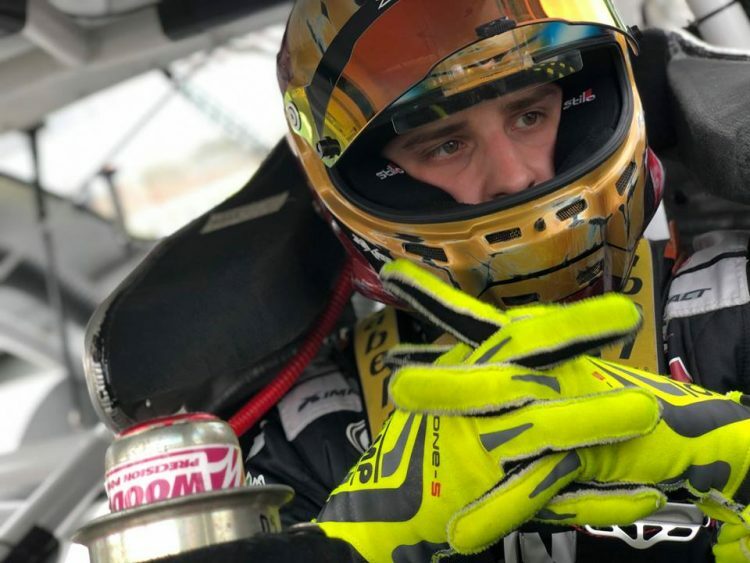 Graf made his debut in the ARCA Menards Series in the second event of the 2018 season at Fairgrounds Speedway. Graf proved fast, surprising veteran observers by running up front before settling for sixteenth at the finish. His second start came at the site of his next series appearance at Salem Speedway, where he finished eleventh. It was his third career start, at Talladega Superspeedway, where Graf jumped onto the radar screen nationwide. He worked his way up from seventeenth at the start to battle at the front of the field late in the race. He was running second when the caution came out with one lap remaining, setting up a one-lap dash to the checkered. Graf locked into a side-by-side battle for the lead with Zane Smith that lasted the entire last lap around the 2.66-mile banked tri-oval. As they flashed across the stripe, it was a statistical dead heat. The computer scoring monitors, which measure intervals to the thousandth of a second, showed a difference of 0.000 between the two. It was only a visual check of the replay camera that showed Smith nipped Graf at the line by about three inches. Graf returned the favor by beating Smith in a fender-banging duel for his first career ARCA win at Berlin Raceway in August. It was his fourth top-five finish of the season on short tracks, which gave him and his Chad Bryant Racing team a lot of confidence heading into 2019. Graf’s day in the season opener at Daytona was cut short by a plastic bag that floated from the grandstands and ended on his grille, forcing the engine to run hot and eventually overheat. He looked to rebound at the first short track event of the season at Five Flags Speedway in March but finished one lap down in eleventh. “It hasn’t been the start to 2019 like we had hoped,” said Graf. “We had a lot of momentum built into the offseason and we brought on a new partner in EAT SLEEP RACE. It’s frustrating that Daytona and Five Flags Speedway haven’t gone like we hoped, but the results have also given us time to reflect and get in the shop and work harder. Graf, who is a student at New York University in Manhattan, also finished eleventh in the fall race at Salem last season. He and his Chad Bryant Racing team tested on the high-banked half-mile oval last week in preparation for the April 14 Kentuckiana Ford Dealers ARCA 200, hoping to find the magic that carried him to victory at Berlin last summer. “I’m smiling just think about going back to Salem, I just love that place,” he added. “It’s such a neat place with a unique driving style. We spent several hours working on the handling of the car because that’s going to be important. “Tire conservation is also going to be equally important, especially if we get into a long green flag run. I learned a lot about tire conservation at Berlin last year and it paid off with a trip to Victory Lane. Chad (Bryant, crew chief and owner) has a good idea on where we need to be when we unload and we’ll build on that and hope we’re fast. Graf and sponsor EAT SLEEP RACE are still smarting from their Daytona misfortune, and have started a campaign to raise awareness to the tremendous amount of plastic waste that is in the environment.